Our team of insurance and financial professionals strive to build customer relationships through remarkable service. We pride ourselves on being a valuable resource and providing easy to understand options to our customers in Onslow County and surrounding military bases, Camp Lejeune and New River Air Station. My team is a group of caring, licensed insurance professionals. We can help you with all of your insurance needs like auto, life, health, and business. 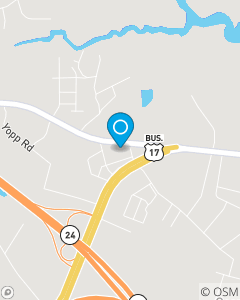 We are conveniently located on Richlands Hwy in Jacksonville NC for all of your insurance needs.